On average, every household in the UK spends around £350 pounds on improving their garden annually, according to statistics. This is for things like new pot plants, weed killer, perhaps some new garden furniture and replacement of essential tools like lawn mowers or strimmers. The pot of money needed for the garden needs to be a lot bigger if you require a bigger transformation. Adding decking, a shed, or a rockery can suddenly take the budget of hundreds, into the thousands. That is without even considering the cost of a contractor, which can then double or even triple those costs. Australian monthly wage expenditure is thought to have risen sharply in the last few years in relation to household spends. This is because households are outsourcing jobs like gardening to freelancers and companies happy to complete the job, for a hefty price tag. It really isn’t cheap to have a professional work on your garden, but the truth is, that it is necessary sometimes. Outdoor projects could be anything from lighting, to landscaping, it depends on the household. Whilst it may seem viable to DIY some of the jobs yourself to save money, some projects need expertise in order to be successful. In some cases, expertise is needed to ensure that a project is completed safely. 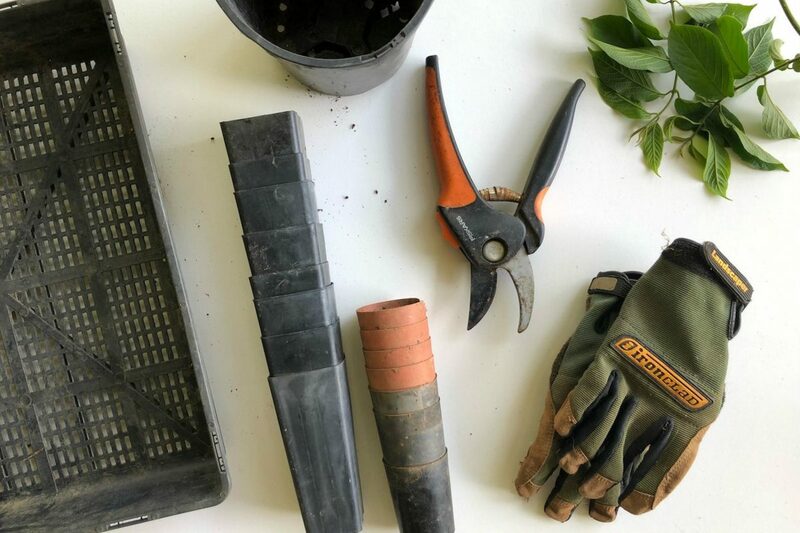 When you consider whether you should DIY or hire a professional for your garden projects, there are various questions you need to honestly ask yourself. Are you qualified? Do you have the time? Do you have the motivation? Do you have the skills? How much money are you willing to spend? Some outdoor jobs do require a qualified company to complete them. They may have the tools, skills, knowledge and experience to complete the job professionally. In some instances it is much safer to hire a professional. DIY accidents amongst homeowners are common. Statistics show that 26% of Americans who complete a DIY project end up getting injured as a result. In other situations, it might cost you more upfront to hire a professional, but long term it is cheaper because botched DIY jobs can cost so much to fix. According to recent media reports, Britain as a whole spend millions annually fixing DIY jobs that haven’t been completed properly. There are also benefits to hiring a professional, like the fact they can get discounts on materials, and the fact they own a lot of tools that would cost a lot for you to hire or buy. They can also ensure the project is completed on time, and call on colleagues to complete the task if they need to. Landscaping requires professional help, at least in the garden design phase. This will ensure that the layout and plans work for the money you have to spend and for the way you want to use the garden. They can also help you with any permits you need. They can also offer advice on the best plants and accessories for your gardening abilities, area climate and soil type. Decking can be very expensive, and is worth the investment of professional help. The materials can cost a lot, and you won’t want to damage them with DIY. A professional can plan the decking, get the materials at cost, and install it all to ensure it is built to last. A diesel generator is a great addition to any home, offering electrics on an ‘on demand’ basis, however for certain areas of your garden, you may want more permanent lighting options. Outdoor lighting should only ever be attempted by a professional. They can ensure that the electrics are safe, and as cost-effective as possible. They can also ensure the electrics are built to last, and built to light your garden in the most aesthetically pleasing way. Hot tubs are investments and so, for thousands of pounds, you want to ensure that they are fitted correctly. This is especially true of hot tubs that are built-in to decking. You’ll want to be sure the plumbing, electrics and fitting is all high quality to make the most of your new luxurious garden addition. Outdoor kitchens are very popular, and they look absolutely stunning, just take a look at some of these stunning designs on this Youtube video for inspiration. However, outdoor kitchens are in need of expertise to ensure they work effectively and look as aesthetically pleasing as they should. They require a professional to install all the different elements properly, and to ensure the kitchen is personalised to your taste and cooking style. Lots of garden projects are perfectly suitable for DIY and they will provide you with a sense of pride when you have completed them. It is also much cheaper to DIY, so where it is appropriate to do the job yourself, your bank balance will thank you for taking that option. Trellis can look absolutely gorgeous once the grapevines or wisteria have taken to it, and it is very easy to put up the structure yourself. The tools and equipment needed are also low cost and easy to use. A veggie garden, herb garden or even a dedicated flower bed can easily be set up without any special skills. You can even use garden rubble to make the boundaries if you want to, and old fashioned hard work to prepare the soil and ground for your new green additions. If you don’t know where to start, there are many DIY videos to follow, including this one on Youtube which shows you how to make a veggie garden for less than $15 dollars! This is a wonderful project to complete with the children. A tile mosaic feature, a path, or other stone floor feature is easy to complete without any special tools. It is a bit like a beginners landscaping task, and it is very satisfying to complete because it has such a big visual impact. There are some stunning outdoor wood paints available that enable you to paint your garden wooded areas in beautiful beach style pastels. You don’t need any special skills, just a sunny day and some time. It is an easy, light job that can transform a garden in a matter of hours. Some garden jobs are suitable for DIY and some are much better suited for a professional. Which is the right option for your project is completely down to you, so you really do need to take time to make the right decision. Some self-completed jobs bring you a sense of reward and save you money. Some jobs that require professionals will save you the cost of a bodged job, and ensure the results are built to last for years. Take your time making your decision so that you can rest assured your garden is built to be your own personal outdoor haven for years to come.